I love Pinterest and love how it inspires people to dive into DIY projects, have fun with their kids and make new things to eat. I know you are all following me on Pinterest right? 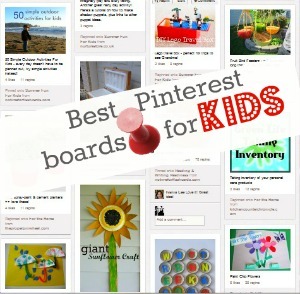 If not you can find me and my boards here but below you will find what I think are the Best Pinterest Boards For Kids . Do you have a board that rocks? Add it in my comment section for us to check out. 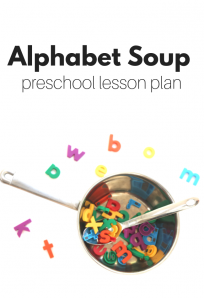 Active Alphabet – If you like our Alphabet For Starters series of alphabet activities for kids you’ll love Mel Avila from Raising Playful Tots ‘ board. It’s got great and unique ways to play with the alphabet. Children’s Books – If you like our Book Reviews for kids you’ll love this board from Imagination Soup‘s Melissa Taylor. Great books, extension activities and more. Art Ideas For Kids – I love these ideas ( many are fantastic for school age kids) pinned by Jen from paint.cut.paste Jen is an art therapist and an endless source of fantastic ideas. Positive Parenting – this is the first of the collaborative boards I am sharing. This board started by Alissa from Creative With Kids is filled with thoughtful and more importantly helpful posts about parenting. Reading & Writing Readiness – This collaborative board was started by me but with 20 contributors the pins range from toddler through school age writing and reading activities. 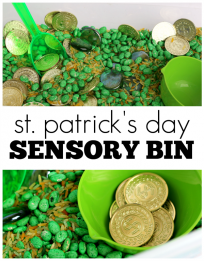 Everything from developing fine motor skills to book suggestions for independent readers. 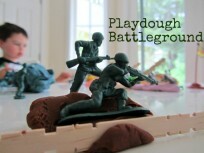 Play With Playdough – You may have noticed kids love playdough and this collaborative board started by Charlotte of make, do & friend is a great place to find ideas for taking plain old playdough play to the next level. 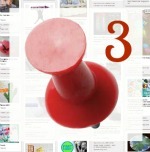 Lifetime Love Of Learning – There are a few boards on Pinterest that have so many followers you feel like you don’t need to mention but this one started by Zina of Let’s Lasso The Moon while very well followed is so full of fantastic learning activities I must share it just in case you aren’t already following. Baby and Toddler Play Ideas – I often send a link to this board in my email to parents asking for more baby activity ideas. Started by Cerys of Rainy Day Mum it’s another fantastic collaborative board bringing together baby and toddler play ideas from over 20 bloggers. This is awesome!! Thanks so much for putting this great list together! Malia – you have fantastic boards- I am so happy you linked them. What a great blog post!!! This is an amazing list. Thank you so much for including us in the list with the Baby and toddler play board. I like all my boards… 🙂 but I’m especially proud over my math-board with over 200 math-ideas! What a list! I am off to check them out. Here’s my kid art board…. Love this list, I am always looking for stuff for the kids. Thanks for the great list! Have just started on Pinterest and learning all about it. FabKids has some super cute boards – inspirational, kids style, how-to/DIY and even some for mommy! Hai Thanks for wonderful list. Condivido totalmente come le idee espresse ancora. Andate avanti similmente. I’d love for you to check out my board. It’s a work in progress.